Swedish car manufacturer Koenigsegg can now lay claim to building the fastest production car in the world after an Agera RS hit 277.9mph this weekend. The car achieved the feat on a closed, arrow-straight, 11-mile stretch of Nevada highway in the hands of factory driver Niklas Lilja. 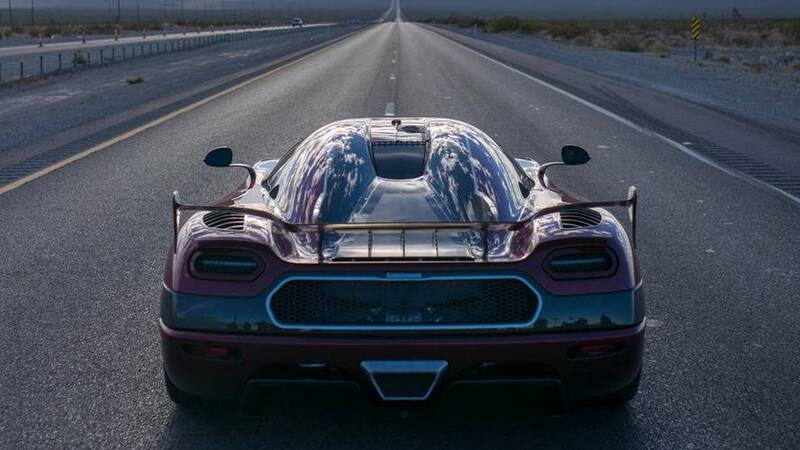 Koenigsegg confirmed the successful record attempt, which took place on Saturday 4 November 4 via a tweet. A video of the attempt purporting to be verified by data-logging firm Racelogic’s VBox system has surfaced online and shows the car hitting a top speed of 284mph during its second run. However, because the record books use an average speed from runs in both directions, the official top speed is 277.9mph. The limited-edition Agera RS is powered by a 5-litre V8 producing 1,160bhp and 738lb ft of torque, allowing it to make the sprint from 0-62mph in less than three seconds. Just last month, the car was also in the record books after Lilja drove from a standstill to 249mph and back to a full stop in just over 36 seconds – beating the Bugatti Chiron’s 41.96-second time that had been set by former F1 driver Juan-Pablo Montoya. The new speed record also eclipses a record once held by Bugatti, although Veyron Super Sport’s top speed of 265.7mph had also been beaten by the 270.49mph Hennessey Venom prior to Koenigsegg’s attempt. However, it seems the Swedish firm’s latest record may not last long, after Hennessey revealed a new, faster Venom last week. Dubbed the Venom F5, Hennessey says the £1.2m car will boast around 1,600bhp and promises a top speed of 300mph.